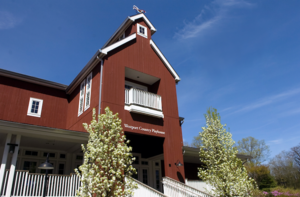 Westport, CT - Single tickets for Westport Country Playhouse’s 2019 Season will go on sale, beginning Monday, March 25, at noon EDT. Single tickets may be purchased by phone at 203-227-4177; in person at 25 Powers Court, Westport, between 12 and 6 p.m.; or online at westportplayhouse.org. Single tickets start at $30. Prices are subject to change based on availability; buy early for the best prices. Student tickets are $20 for any performance with a valid student I.D. Senior citizens are eligible for 15% discounts; educators are eligible for 25% discounts at all performances. Traditional season ticket packages continue on sale offering savings, priority seating, restaurant discounts, $10 off extra tickets, and patron flexibility, including a choice of five-play or four-play options. Flex Passes are also on sale, providing date flexibility. For more information on tickets, prices, and any special offers, visit www.westportplayhouse.org.